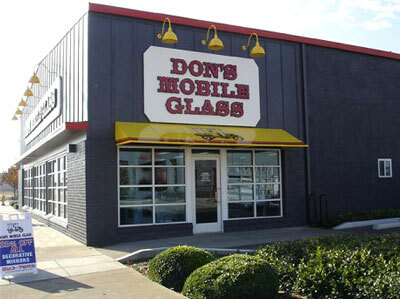 For more than ten years our Don's Mobile Glass Manteca glass shop has been serving the community in and around the Manteca & Tracy areas. Our glass store carries our full glass product lines of auto glass, residential glass, commercial glass and glass installation services. When you visit our glass shop you can see examples of our glass product lines for replacement windows, shower doors, tub enclosures, auto glass, windshield replacement, headlight restoration and more!